Currently we have a little stock left of The Relyon ortho pocket extreme mattress which offers the ultimate support mattress in the Relyon range , This mattress offers a intense extra firm feel with 1500 pocket springs in a standard king size mattress. 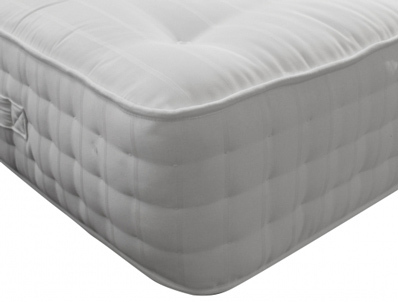 The mattress is very firm and is fully turnable. It is covered in a super quality damask fabric and has 3 rows of reinforced side stitching. The mattress fillings include layers of white fibre, cotton and an anti allergenic layer to make it very firm it has no wool or cashmere filling . The mattress has handles to help turn the mattress. It comes with Relyon’s 8 year guarantee. Please note this mattress is very heavy and does not bend so please make sure you are able to get it upstairs. We would also advise delivery by 2 man to room of choice on the express service, as choose a day is to front door only.